Everyone loves chicken and you can't go wrong with our delicious chicken cuts or whole birds. 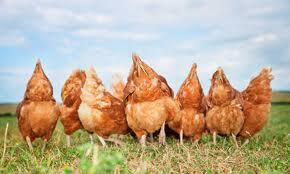 All our chickens are barn-reared to RSPCA standards and come from English farms. Our duck is also English and depending on the season we can also get a range of game birds (contact the shop for more information). And don't forget turkey! It's not just for Christmas - we do delicious boneless turkey breast joints for all occasions, stuffed or plain and wrapped in streaky bacon.